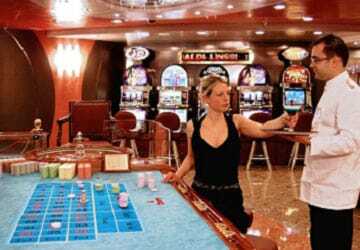 The Cruise Barcelona and her sister ship the Cruise Roma are a totally new concept of ferry offering facilities normally only found onboard a luxurious cruise ship. There’s a huge selection of cabin accommodation, a choice of restaurants and bars, a swimming pool, casino, wellness center, videogames area, children’s playroom and a Boutique. 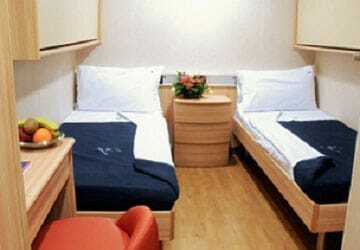 The Cruise Barcelona ferry features 411 air conditioned en-suite cabins with a choice of inside and sea view (outside) and around 70 luxurious suites. 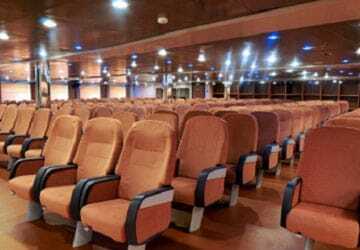 If you’d prefer not to book a cabin then there’s a choice of around 150 reclining seats. The Cruise Barcelona has no shortage of places to eat and drink. Choose from the wonderful menu in the à la carte restaurant or help yourself in the buffet style self-service cafeteria. For a quick snack there’s also a fast food lounge. 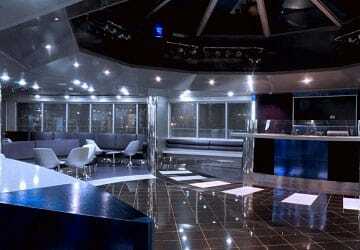 Drinks are served in Smaila’s bar or for same late evening entertainment head to the night club. During the summer months you can also have a drink in the swimming pool bar. 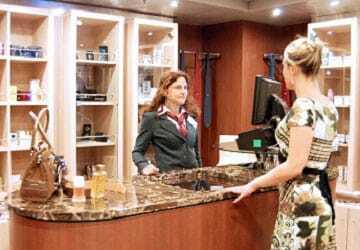 The ship contains a boutique which sells many high street brands as well as magazines, confectionary and travel essentials. 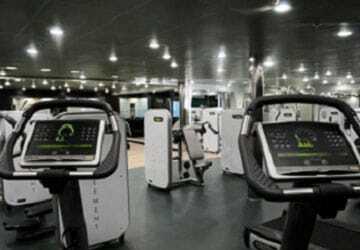 In addition, you’ll find a Swimming pool with sundeck, a Casino with black jack and roulette tables and a Wellness Center featuring a sauna, Turkish bath, Jacuzzi, relaxation area, massage halls, beauty treatments, solarium and a gymnasium. If you want to surf while you sail then head over to the internet cafe. 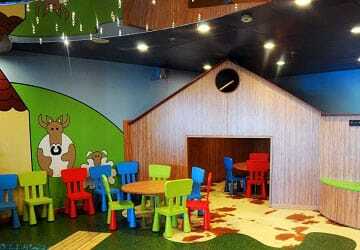 Children are well catered for onboard the Cruise Barcelona which features a dedicated child’s play area to keep them occupied during the trip. There’s also a video games corner for the older children. Please Note: Whilst we have taken great care in making our Cruise Barcelona guide as accurate as possible, onboard facilities, services and entertainment may vary depending on the date and time of year that you travel, facilities mentioned may change without notification and ferry companies reserve the right to operate vessels other than those mentioned at time of booking without prior notification. "One of the best moments in life...."
The system, decoration, service everything was excellent...... had lots of fun.... waiting for another trip soon. The cabin was fantastic, we had a great crossing. Pleasant, first-time crossing. Overall, I would recommend this ferry trip to friends and acquaintances. The cabin was too warm, though. Everything else was quite good. Can't really complain except the cabin on deck 7 was quite noisy. Business breakfast option not worth the money but the business Linch made up for it. Had a good meal in the evening restaurant but perhaps a little expensive. Check in and loading very good but knowing the procedure for getting your ticket and finding the ship could be made easier with better signage or advance advice. Staff very helpful. All in all I would say good value for money. My wife and I took this trip and were extremely pleased Nothing to fault. We would do it again in an instant. Better than we anticipated. What a way to relax and unwind from the maddening crowd while on tour. 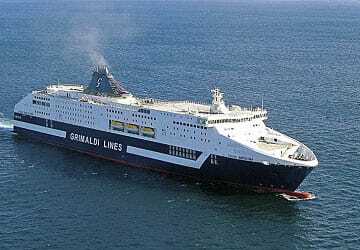 I had a lovely trip with my motorcycle on the Grimaldi Lines ship to Barcelona from Civitavecchia. The cabin was comfortable, nice warm shower, cosy bed, and thank goodness I could turn off the air conditioning when it got too cold! 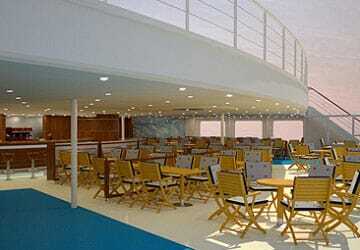 The staff were friendly in the bars and cafe areas and there was generally a great atmosphere on board. 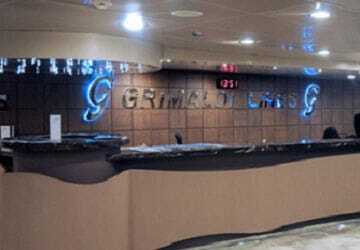 Thank you Grimaldi Lines! I had to bring the car in Spain it was perfect. Punctual. 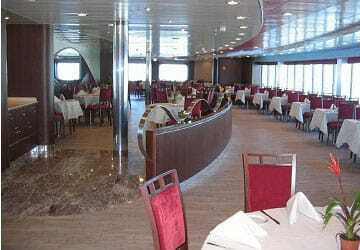 Journey on board of the Barcellona Cruise , good level, good quality of the service, huge competence of the staff, good clenaing and good restaurants and food. 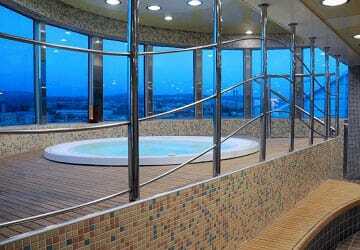 The only flaw was the landing at Civitavecchia where there was so a mass people waiting to get off the ship.